Anyone who has a back yard knows when the time comes for a quick cleanup. But what do you do when the yard is filled with leaves and you do not have all the time in the world to clean them up? It’s easy to handle this task if you have a leaf blower in your gardening arsenal. This device can have either a blower or a vacuum function, acting as a giant vacuum cleaner of vegetal debris. The devices in this class are very diverse, starting from the engine, the charging mechanism and getting to the design and ergonomics. How do I find the best leaf blower? Taking all these criteria into consideration, it will be quite difficult to choose the device that best suits you and your needs. You will need to take into consideration the amount of leaves that you’ll get periodically in the yard and the actual size of the courtyard. Moreover, there are few who know where to find great leaf blowers at a good pricing. To cover all of these important topics, we have compiled this shopping guide, explaining briefly the most emblematic capabilities of this tool. The engine type. It may be thermal or electric. For usage in public areas or in large back yards, a fuel blower is recommended, most models being powered by gasoline and having a 2 or 4 stroke engine. For those who only occasionally use the device, we recommend an electric leaf blower. You can find enough products at low prices that generate over 2500W of power, which means very much in terms of efficiency. The power supply. We have already established that the fuel based products use mostly gasoline, but for the other variants we will note that you can supply the blower to either the power grid or an accumulator. The difference is clearly a portability. Want to save a buck? In this case, you should opt for one of the wired devices, but do not forget to check the length of the power cord and the thickness of the extension cord. The amount of power in the network can reach efficiently up to longer distances. For domestic use, the plug-in models are the ideal pick. The surface and the leaves quantity. You have to take into consideration the configuration of the appliance, as there are wheeled blowers, backpack styled ones and handheld models. The largest amount of leaves can process by the wheeled models. Though for medium sized yards with moderate density of leaves, we recommend a handheld blower, a variant that meets all the challenges without any problem. But if you have large surfaces to clean up, you can choose a model with the backpack system because it will be tiring to go for over an hour across the entire yard with a pretty heavy blow in one hand. Vacuum function. Unfortunately, this option is only available for the electric models. Each product in this range allows the attachment of a storage container, which has the same role as the sack or collector of a conventional leaf vacuum cleaner. Basic functions. Your tool must provide you with the ability to adjust the air jet and / or vacuum speed and guarantee a fast on / off option. Also, you will definitely find more comfortable an electronic ignition than a twinkling lighter, especially when it comes to gasoline-powered models. Design features. This is where we pin point you a few features that make this kind of product an ergonomic and easy-to-operate machine: the position of the engines’ air vent, the handle’s shape, the extra handle, the shoulder strap,the vacuum / blow nozzle shape, the storage volume of the collection bag. You should definitely choose a model that has the ventilation slots located in the rear, because through the side, the engine will be through the user’s clothes. It’s good to have a soft rubber grip, of course. 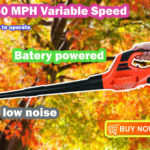 For those who are still trying to determine where to find good leaf blowers at good prices, the online supply is great. It’s cheaper to buy the product online, you will be exempt from a tedious walk to the store. If the model you purchased is incompatible with your preferences, you can easily return it. We have selected for you the best models that you can buy in 2018 and we have compiled a list based on specifications, functionality, ergonomic and user experience. We are placing Händewerk 150 in the top of our list since this cordless leaf blower is among our favorites. It is very suitable for yard use and is maybe the best leaf blower at a cheap price – this is how we can characterize this offer from Händewerk. 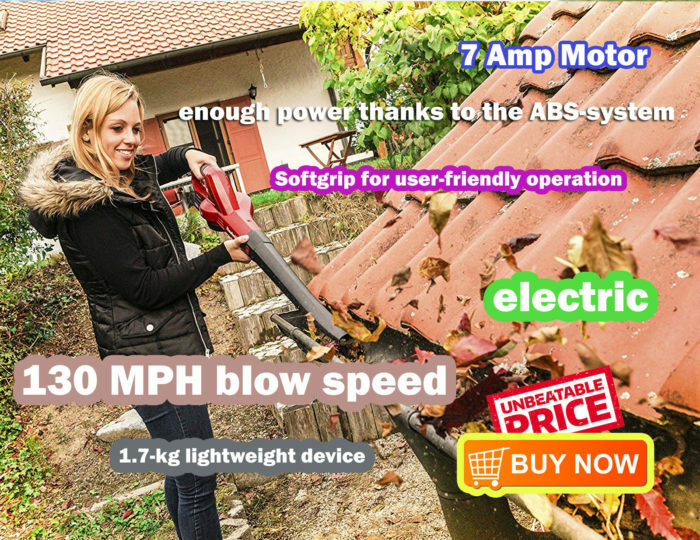 The best part is the power of this electric blower is comparable to a gas blower, except with none of the fuss. The weight is also comparable to the one of a gas leaf blower. 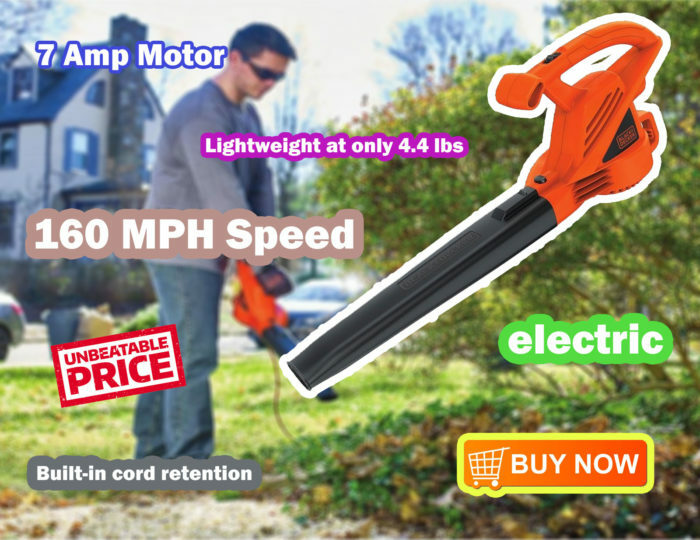 Moreover, this battery powered leaf blower has 3 speeds (low, medium, high) which can be set to continually run without pressing/holding a trigger. Another option is for it to run only when you press the trigger, so you can move to different areas without using up the battery. The chopper can reduce the leaf volume to about a tenth of the original amount, and the bag can store up to 45l. The nozzle is circular, meaning high blowing power, and the kit also includes a shoulder strap. This gardening tool weighs about 3.20Kg and produces a variable noise in the 80-100dB range. It’s a great leaf blower at a cheap price. It is suitable for personal use, thanks to the electric motor and efficient working parameters. It can be extremely easy to handle, based on a weight of only 2Kg. It will be used with or without a bag, adaptable to the user’s preferences. You will pay for the cord separately. The cord can get tangled or unplugged during usage. The performance is good, being indicated by an air jet with a flow of 0-4.1 cubic meters per minute. Of course, the expulsion speed of the airflow is adjustable, so you can adjust it to the processed quantities. The blower is a manual model and can be operated with an easy-to-operate handle. The device is accompanied by a circular opening nozzle. It’s very useful that this gardening tool weighs only 2Kg, so you will not get tired using it for extended periods of time. Only the power cord is slightly shorter, measuring 2.5m, and it may get unplugged or tangled, so that is a little disadvantage when it comes to this affordable piece of machinery. 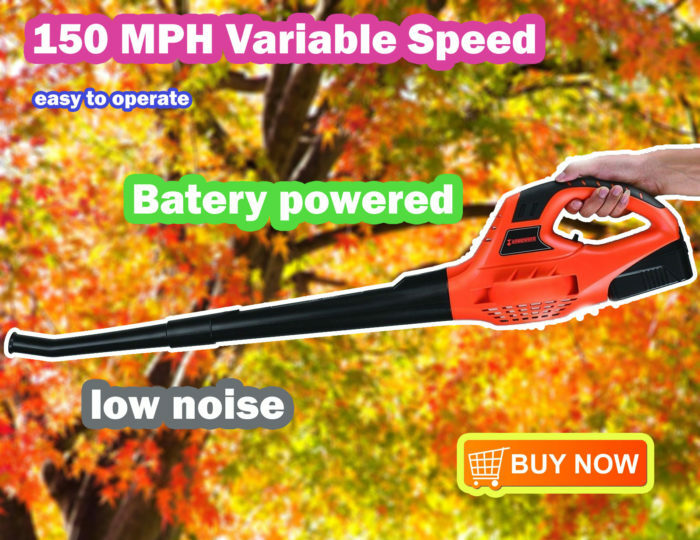 Black and Decker leaf blower can be bought at a convenient cost. It has great efficiency thanks to the the 7-Amp engine . Blows up to 180Mph/180CFM for fast and easy cleanup of leaves and debris. It adapts easily to work requirements, as the speed can be adjusted during a work session. It’s ergonomic, allowing for easy handling due to weight, handles and shoulder accessory. Some customers considered it relatively noisy, at most 100dB sound generated. Users who are excited about Black and Decker products should turn to purchase this useful blower as a leaf vacuum cleaner. You can buy it for home use when you have a medium yard with lots of leaves. The product has an electric motor, so it is powered by power from the socket. It generates a power of 3000W, which means high consumption, but irreproachable performance. If the workflow is 800 m³ / h, then you do not need any further evidence that the device is a real bargain. When you put the vacuum option into operation, a 45 l storage bag is at your disposal. The most notable basic function is the speed control, anywhere between 280 and 300 km / h. When working with a small amount of leaves, you will use a lower speed, saving energy and still doing the job with maximum precision. There is no need to say that a 3.2Kg weight allows you to effortlessly handle the product, it being a hand blower type. Ergonomics of Black and Decker products is famous and that’s why we can not help but mention the two handles that give you even more stability. The package also includes a shoulder strap, very good when your arms get tired. The approximately 100dB will bother you a little, but if you do your job quickly, you won’t really mind. It ensures mobility whenever you decide to use it with a battery. Works efficiently based on the 18V Li-Ion battery. Ensures high blowing speeds up to 130 MPH, processing the leaves quickly. It’s light, with effortlessly maneuvering, having a weight of 2.2Kg. You get only about 10 minutes of autonomy. When you want to move with total freedom through the entire yard, even in the corners that a power cord doesn’t allow you to access, the Einhell leaf blower is the most viable option. We say this because the device is powered by an 18V battery and requires a 30-minute charging time, with an actual 10-minute working time. 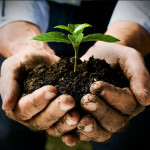 If you do not have a large garden as a surface, it will not take too long to gather all the leaves in one place. Because it uses a speed of 210Km / h, this task is likely to be accomplished without complications. This tool is really light, as a Li-Ion battery is attached, and it will only weigh 2.2Kg. It has the configuration of a handheld model, with a soft grip handle that is easy to use. The nozzle has an oval shape, harmoniously combining the precise targeting of the air jet with the jet force. Of course, you will get a 2 years warranty. 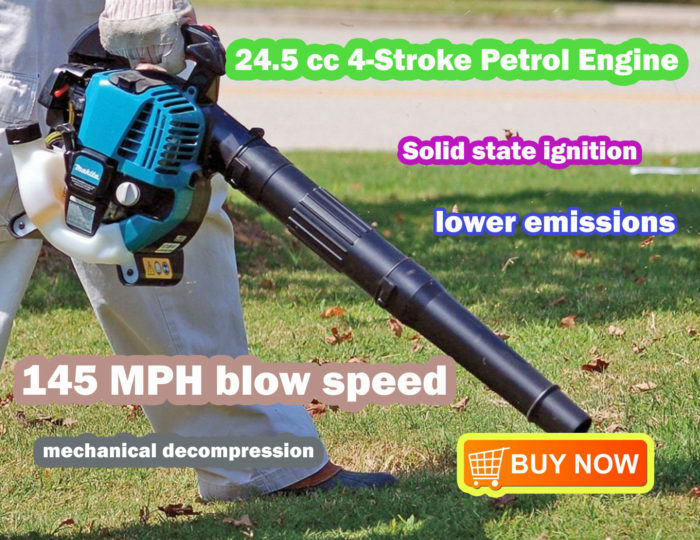 Leaf blower working on gasoline, available at a very good pricing. It works efficiently and quieter than a 2-stroke engine, being equipped with a 4-stroke engine. It can scatter more than leaves (such as dust or soft snow) due to a flow of 426mc / h.
It is ergonomically configured, with a rubber handle provided with some shortcut keys. It’s on the heavier side, weighing 4.40Kg..
For professional use and long-lasting performance without having to worry about anything, this Makita tool is very praised by the users. We begin by demonstrating why it is used mostly for large-scale works: it is equipped with a 4-stroke thermal engine. The emissions will be reduced and the power offered is 0.89 hp. Manufacturers identify the work speed at the value of 426 cubic meters of air for a single hour. Thus, the appliance will be able to blow not only the leaves, but also the accumulated slag, dust or even snow. It is used as a hand model, despite its weight of 4.40Kg. The design is simple, basic, incorporating a handle with increased ergonomics and a rubber coating and a long nozzle with a circular exit, useful for getting high-power air jets. The controls are placed directly on the handle, allowing for perfect control of the actions and functions. 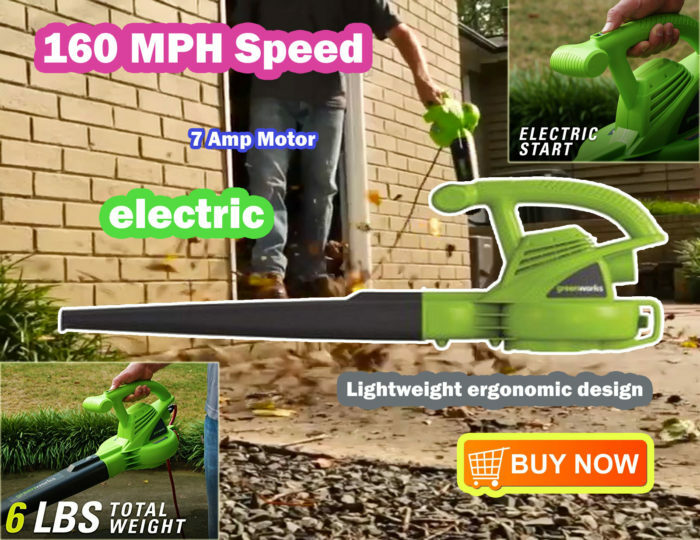 If needed, you can even purchase a special kit to turn this leaf blower into a motorized vacuum tool. Finding a leaf blower that fits your needs and your budget could become a tricky job and you may find yourself in a situation where you don’t know which one to buy. The market is packed with all kind of products and the sellers are doing their best to push their products on the front line. We have picked a collection of leaf blowers that we really like but you shouldn’t stop here. Read user reviews for each blower, find the perfect price and get informed before you decide. 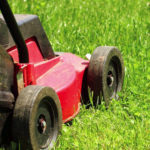 Let us know if you have found a good blower that’s not on this list! Make sure to check our article with the best leaf blowers under $200. This entry was posted in leaf blowers and tagged leaf blowers, Tools on February 8, 2018 by Leaf Vacuum Mulcher.